Betsafe Casino has been on the online gambling scene for more than a decade and it’s a great option for players looking for a casino with a big library of games, good bonuses, great promotions and a strong reputation. This review will cover the most important points we look for in an online gambling site including games, bonuses, mobile casino, banking, security, customer support and a clear verdict on whether you should consider signing up for an account with Betsafe. 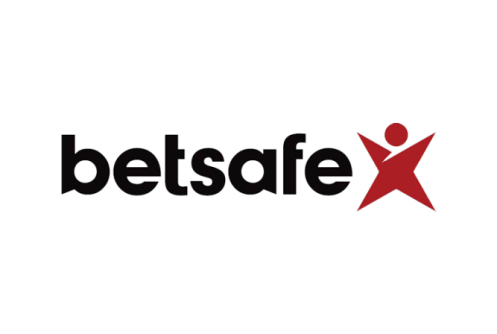 Betsafe is owned by the BML Group which also owns and operates Betsson, NordicBet, Mr. Smith Casino and Casino £o. It’s a big company and its resources really shine through in the quality and variety you’ll see at the Betsafe Casino. It’s obvious from the first time you log on to the website that some serious work has been put into developing the software platform and building a massive offering of slots and casino games. Betsafe features games from a long list of industry-leading software providers including Evolution Gaming, Cryptologic, Net Entertainment, Amaya and lots more. We’ll go into more detail on the games and software developers you can expect from Betsafe but suffice to say, it’s extensive. Another big plus is that Betsafe offers a sportsbook, poker room, horse racing and even virtual sports so if you feel like venturing beyond casino games you’ll have lots of options. Betsafe’s mobile app also lets you access all of these different options from your smart phone or tablet. Keep reading for more in-depth information you can use to decide if Betsafe Casino is right for you! To compete as a major online casino brand these days, sites really have to roll out the red carpet to entice new players into signing up. Betsafe succeeds here with a valuable welcome bonus. And even after you become a Betsafe player there are two additional bonuses that will double your second and third deposits too. There are also tons of ongoing promotions and giveaways that can add to your winnings. The biggest way you can cash in on Betsafe’s generosity is with the welcome bonus when you first sign up for an account. 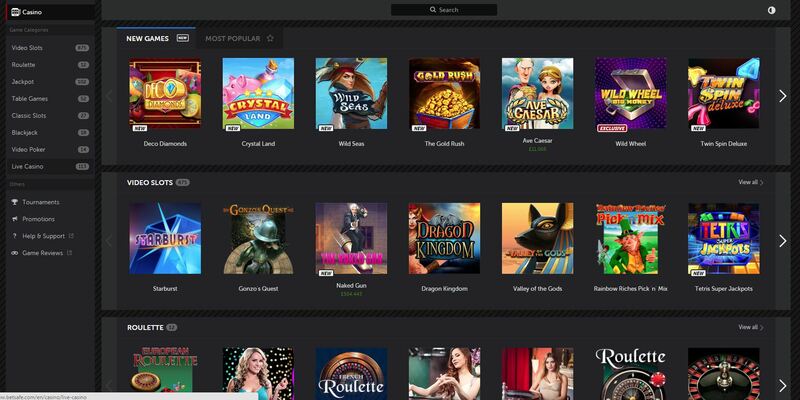 Betsafe always has a high-value signup bonus on tap and right now it’s worth 100% up to a maximum of £250 and comes with 10 free spins on the slots game Gonzo’s Quest. 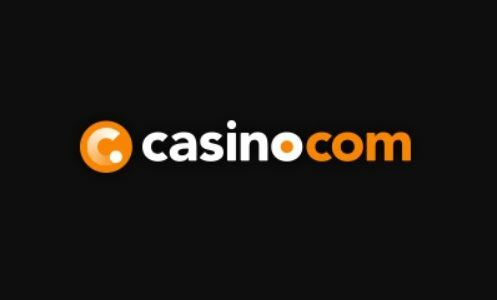 Your second deposit will also be matched at 100% up to £250 with an extra 25 free spins and your third deposit will be matched 100% up to a massive £500 with even more free spins. It’s always important to remember that most bonuses come with requirements you must meet before you can withdraw the bonus money. This is called a bonus’s play-through requirement. At Betsafe you must wager the welcome bonus and deposit 35 times during the seven days following your deposit in order to clear the play-through requirement. 35 times is a relatively low number as far as play-through requirements go although having a one week time limit does make it more challenging. Another important point is that different games contribute differently to satisfying the play-through requirement. Slots games contribute 100%, all live games contribute 20%, Caribbean Stud, Casino War and Casino Hold’em contribute 10% while roulette and blackjack contribute only 5%. The detailed information is posted as part of Betsafe’s General Bonus Terms and Conditions. One of the most important things we look at when reviewing online casinos is the selection and quality of games and Betsafe definitely delivers in that department. By licensing slots, casino games and live dealer games from many of the industry’s best software developers Betsafe has ensured they have a very competitive catalogue. Betsafe features games from Net Entertainment, Microgaming, Quickspin, Playtech, Evolution Gaming, WMS, Play’n GO, Thunderkick, Big Time Gaming, NextGen, Genesis Gaming, Ash Gaming, Rabcat, Leander Games, Amaya Software, Yggdrasil, ELK Studios, Cryptologic Software, Red Tiger Gaming, Barcrest, and FUGA. As a result, slots clearly is one area where Betsafe really shines. The site features traditional slots and newer video slots titles from both Net Ent and Cryptologic. It also has lots of jackpot slots with huge mega jackpots. Some of the biggest jackpots available on Betsafe like the legendary Mega Moolah can be in the millions of Pounds. In addition to slots Betsafe has all the classic casino games you’d expect from a major online casino. There are lots of variations of roulette, blackjack, baccarat and different kinds of casino poker. And to make things even more exciting, most of the games are also available with live dealers. Betsafe’s live dealer casino section is powered by Evolution Gaming which means the quality and functionality are really good. Live dealers make the gambling experience way more fun and social and Evolution provides one of the best platforms around. And like most major online casino options these days, Betsafe offers a robust mobile app to give you access to all your favourite games from your mobile phone or tablet. When you’re dealing with big casino brands it’s the norm to have lots of banking options for making deposits and withdrawals. That’s definitely true for Betsafe Casino. Whether your preferred banking method is an e-wallet, credit or debit card, Betsafe has an option that will fit your needs. For deposits Betsafe accepts Visa and Mastercard, Entropay, Neteller, Skrill, paysafecard, Citadel Instant Banking and PayPal. All of these options offer instant deposits which means you can be up and playing in just seconds. Some of these options are restricted based on what country you live in so check out the payment methods page on the Betsafe website to make sure the option you want is accepted in your country. Minimum deposits are £10. Deposits are free if you make them with Entropay, Neteller, Skrill, paysafecard, Citadel and PayPal while Visa and Mastercard come with a fee that varies between 0% and 2.5%. For withdrawals Betsafe accepts Visa, Entropay, Neteller, Skrill, PayPal and regular bank transfers. Like most casinos, Betsafe prefers that you withdraw your winnings using the same banking method you used to make your deposit. If you want to use a different method you may be asked for additional security information or even to make a small deposit using that method in order for the casino to help verify your identity. Minimum withdrawals are £20, except for PayPal which has a minimum withdrawal of £10. All these options are free of extra fees but the time it will take to get your money varies from one option to another. Withdrawals using Visa, Entropay and bank transfers take up to 24 hours to be approved by the casino and then 2-5 business days to arrive in your account. 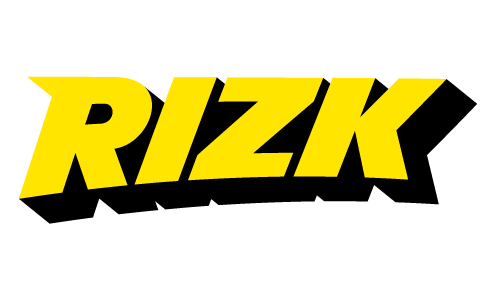 Neteller, Skrill and Paypal are processed instantly following the 24-hour approval period. 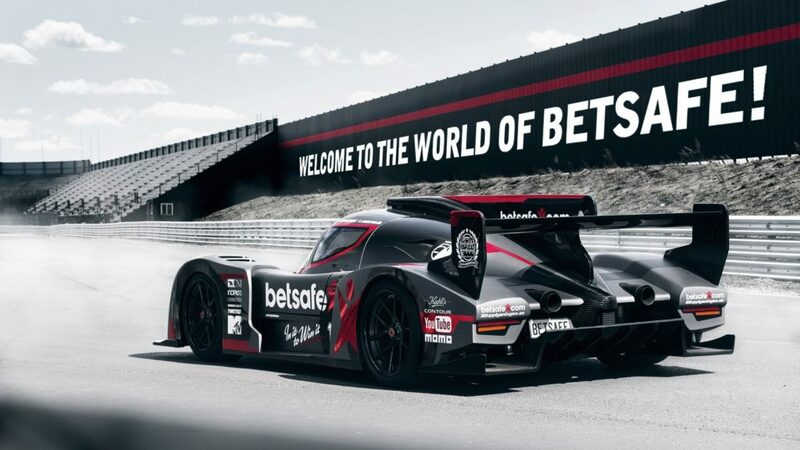 Betsafe is definitely a landmark in the online casino landscape and if you’re looking for a new gambling website to try it’s worth a closer look. The website looks great. It functioned well during our tests and we really like the clear game layout. We didn’t have any problems finding specific games quickly and they all booted up fast so you can start playing right away. Betsafe knocks it out of the park in terms of game selection, particularly in the slots section. The fact that they license games from lots of different software providers means they have a really well-rounded catalogue. Using lots of the biggest software providers also means players have access to all the biggest progressive jackpots. The live dealer casino section is also strong and it’s powered by one of the best live casino platforms, Evolution Gaming. The fact that Betsafe is regulated by two respected governing bodies, the UK Gambling Commission and the Gibraltar Gaming Commission, really helps solidify trust with players. Betsafe also accepts all the most popular banking methods for deposits and withdrawals so no red flags there. The verdict? A resounding yes. Betsafe hit all the marks in this review and we definitely recommend it as a good option if you’re looking for a new site to play at.